Jonathan Alvarado has been in prison almost every day since he turned 18 in 2007. After pleading guilty to seven armed robberies this week, he will be at least 40-years-old before he walks free again. Alvarado had been free on parole for just six weeks when he committed seven robberies with a handgun over the course of just two days in September 2015. 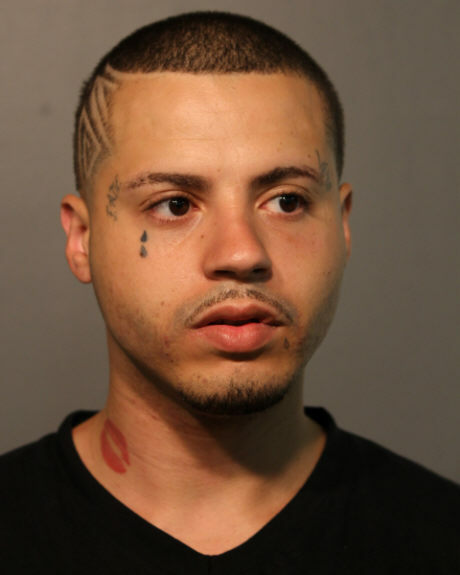 Alvarado was detained about 20 minutes after the final robbery when police became suspicious of him during a traffic stop near Roscoe and Ravenswood. Cook County Judge Timothy Chambers on Wednesday sentenced Alvarado to three years for the Le Moyne robbery and 25 years for each of the other six cases. The sentences are to be served concurrently, which will make Alvarado eligible for parole after spending about twelve years behind bars. State records show that Alvarado has a violent past. He was sentenced to concurrent terms of 6 years for robbery, 5 years for aggravated battery, and another 5 years for aggravated battery in a public place on July 24, 2012. Before that, he received a 3-year sentence for aggravated battery to a police officer in 2009; another three-year sentence for being a felon in possession of a firearm in 2007; and a one-year term for aggravated unlawful use of a weapon in 2007. Maybe prison is the best place for Mr. Alvarado.